The building was completely hollow. Large cooling ponds for the softened water were constructed in its base whilst an array of large cooling fans were built into the roof. External stairs gave access to the roof so maintenance could be carried out on the fans. 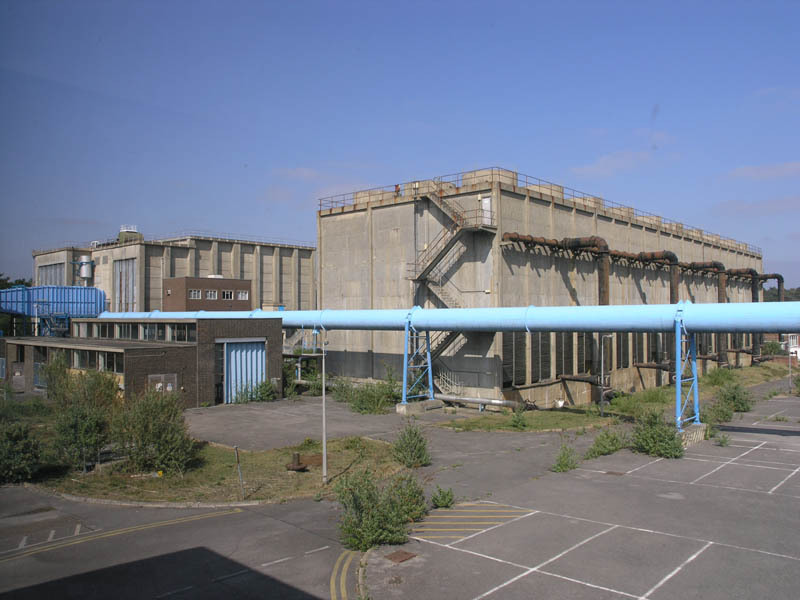 Elevated view looking north-east towards the Anechoic Facility , W.P.H 10 and the Bramshot Cooling Towers.